The charming pergolas that SRA Home Products installs can help to bring a sense of serenity to your backyard. 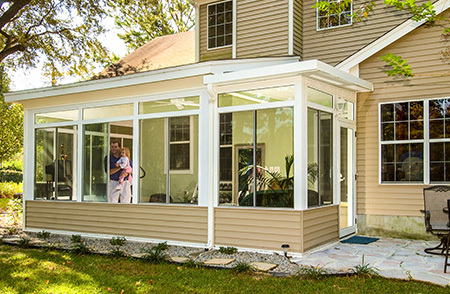 We are proud to exclusively install pergolas throughout Wilmington, Delaware, that are manufactured by TEMO, a leader in the national outdoor living industry for the past 40 years. To create a cozy outdoor reading nook, arrange some comfy patio furniture underneath your new pergola. If you’re worried about your pages getting wet in a sudden rain shower, you can opt to have one of TEMO’s operable pergolas installed. This innovative model allows you to effortlessly transition from open rafters to a solid covering using a slow-motion motor. Catching up with friends is even more enjoyable when you’re surrounded by beautiful gardens. 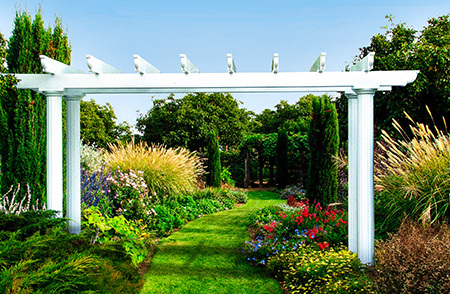 In addition to their freestanding and attached pergola styles, TEMO offers a garden arbor model featuring open beams that are perfect for climbing vines, a design that will be sure to create a tranquil garden setting for your next get-together. 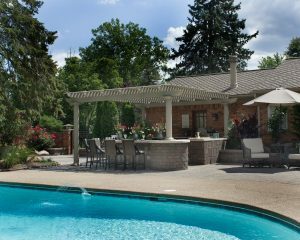 If relaxing by a pool helps you forget the worries of the week, you can use your new pergola as a poolside shelter for your chaise lounges and beach towels. TEMO’s pergolas feature innovative curved rafters that will provide you with more UV protection while you’re sunbathing than you could find from a pergola with flat rafters. If you’d like to start using your Wilmington, DE, backyard as a place to relax and unwind, please call SRA Home Products today for more information about installing one of our delightful pergolas. We’ve been family-owned and -operated for two generations, and our steadfast commitment to customer satisfaction has helped us to achieve the Better Business Bureau’s coveted A+ rating.